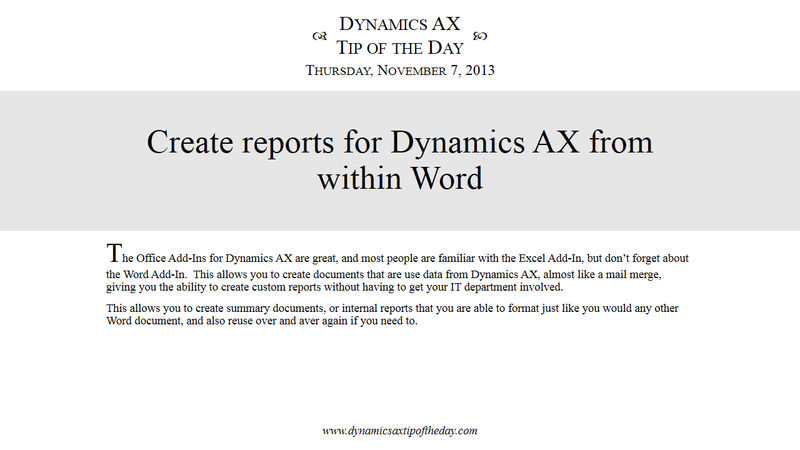 You probably have already used the Dynamics AX add-in within Excel to access data, but don’t forget that you can also do something similar within Word as well in order to create templates that will merge in data directly from Dynamics AX with the push of a button. 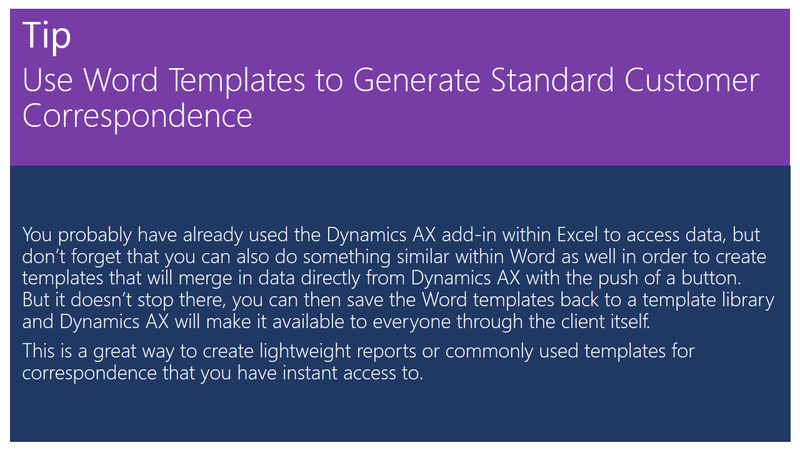 But it doesn’t stop there, you can then save the Word templates back to a template library and Dynamics AX will make it available to everyone through the client itself. This is a great way to create lightweight reports or commonly used templates for correspondence that you have instant access to. 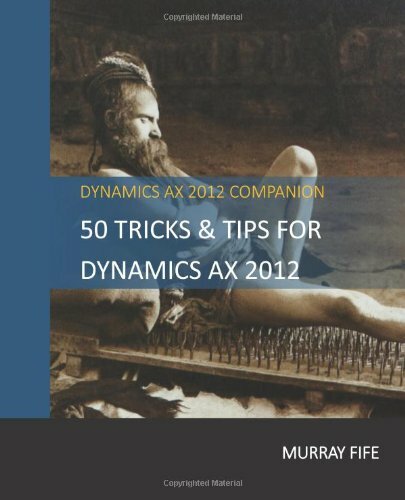 The Office Add-Ins for Dynamics AX are great, and most people are familiar with the Excel Add-In, but don’t forget about the Word Add-In. This allows you to create documents that are use data from Dynamics AX, almost like a mail merge, giving you the ability to create custom reports without having to get your IT department involved. This allows you to create summary documents, or internal reports that you are able to format just like you would any other Word document, and also reuse over and aver again if you need to.